Clowns are scary—there’s no getting around that. There is something intrinsically frightening about the bright, colorful, slightly off-putting performers. The hold clowns have over the imagination is something NHS students are hard-pressed to forget, after last year’s clown-related false alarm. NHS students will find that the new horror film It excellently demonstrates the horror clowns inspire. Yet another adaptation from the works of horror novelist Stephen King, It focuses on a group of seven children who are terrorized by a creature in the form of a clown. Despite the novel’s popularity and a 1990 television mini-series, It has taken a while to transition to the big screen. The novel, a whopping 1,138 pages, follows its protagonists during two different time periods, so condensing the entire book into one movie was always going to be problematic. 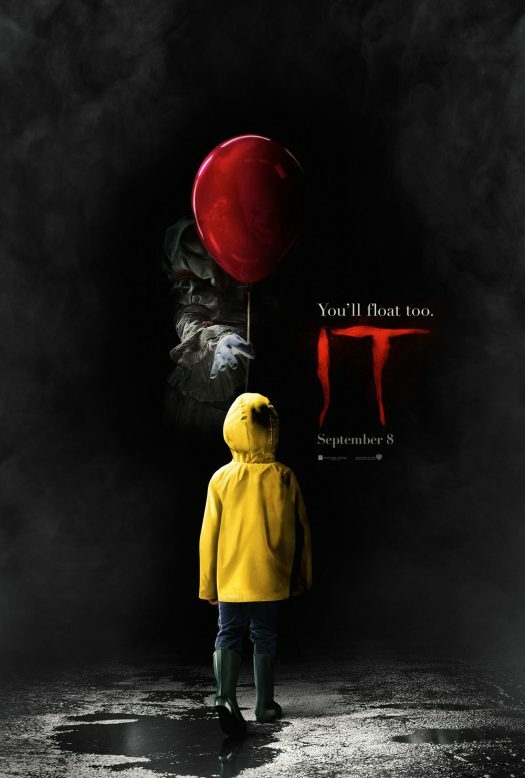 But three decades after the original publication, the filmmakers have a solution: rather than alternate between the protagonists’ childhoods and adult lives for two hours, they’ve simply focused on the former and left the rest for the sequel, which is now inevitable because the movie is the highest-grossing R-rated horror film of all time. This method of adaptation works in the movie’s favor, though it could have backfired. Even though it will be viewed alongside its successor eventually, on its own the movie could have come off as only half a story—an incomplete part of a larger equation. However, the film’s screenwriters, Chase Palmer, Cary Fukunaga and Gary Dauberman, have been able to make It stand on its own, crafting an exciting film that gives most of its protagonists satisfying and complete character arcs—allowing them to overcome their fears and become stronger individuals over the course of the film—while still opening room for the sequel that is scheduled for September 2019. But this adaptation isn’t entirely a straight-up horror film. While there is plenty of terror, suspense, and gore to appease genre fans, a substantial part of the film develops the relationships between its seven young protagonists. The focus the movie puts on these youngsters, and the ways they overcome their fears, make it feel more like a coming-of-age story than anything else, resulting in a picture with more similarities to another Stephen King adaptation, Stand By Me. As a character piece, the performances of the main children could have made or broken this movie, and seeing as great child performances in film are often the exception rather than the rule, they easily could have worked against the movie’s favor. Fortunately, the seven children all deliver a richness and sense of depth that is rare for performers with such inexperience. One of the film’s best performances comes from Sophia Lillis, who portrays the young Beverly. Lillis crafts a strong, free-spirited character who overcomes constant torment and abuse, defying societal expectations of what she should and shouldn’t do—physically represented by her Molly Ringwald haircut. Another strong performance comes from Jaeden Lieberher as Bill, leader of the seven children. Lieberher expertly conveys the pain his character experiences after the clown Pennywise kills his younger brother, and the audience feels his personal drive to defeat this evil. However, there is missed potential with Bill Skarsgard’s portrayal of Pennywise. Make no mistake, Skarsgard manages to disappear into his role, crafting an immensely eerie character. He recognizes the terror of a group of children being stalked by a strange figure and shows this basic scenario can be just as plausible in reality. But despite doing what the film requires of him, Skarsgard is not the most unforgettable of horror villains—he’s unsettling, but doesn’t linger in the imagination as much as It’s other elements. One wishes he had crafted a performance whose very presence were enough to make the audience jump from their seats in shock. Skarsgard is creepy, but he doesn’t exactly capture the iconic horror of classic villains such as Hannibal Lecter. The film is so well made it’s difficult to believe this is only director Andy Muschietti’s second feature. He gives the film a great sense of pace, keeping the proceedings exciting and brisk while still giving it enough time to breathe and develop the characters—at 135 minutes, it’s neither too long or too short. It is greatly engrossing and entertaining. Near-perfectly executed, the movie’s endearing characters are full of life, and everything is thrilling enough to keep audiences on the edge of their seats until the credits roll. It is not only one of the best horror films of 2017, but also one of the year’s best in general. This is definitely deserving of a viewing, and the sequel cannot arrive fast enough. It gets a rating of 9/10.